And yet there are no jobs in Gungahlin and the trip to Civic from outlying suburbs on public transport will often add two hours to a working day. No thanks. Here is a radical idea for the Labour and Green crowd, progressively triple the cost of rego under the guise it will make everything more environmentally friendly. I have a number of reasons why I chose to drive but the best reason is it's my choice! It's going to be good to be able to meet up with politicians on public transport each morning. I look forward to it the next time I'm there. Riding one day a week is a great start for those not doing drop offs and pick ups. It does take a change in mindset… But once you start you will never want to stop. You get fit and arrive feeling refreshed relaxed and happy! Charlie Carmenu Flask we are on the same level. Pity the ones in charge aren't. Incentivise switching to an electric vehicle by reducing the registration fees! All other states and territories do it! Only one border though Geoff Lever. Also, dont trees and open green spaces offset carbon emissions? How many trees is the ACT Government currently culling per year versus replanting? And as for urban infill, such as the green corridor in Mawson that has been filled in? Maybe start acting green....in reality. They would have to improve public transport for that to happen. At the moment I’ll have to leave home at 5:40 so that I’m at work on time at 7:30 and walk almost for 2kms between my house, the three buses that I need to catch and my office. By car it takes 30min as opposed to 2 hours and I get to park in the staff parking. That too - can't help but think more would take it up if the service were better. I guess if the car's out im going to be stuck with using bronwyn bishop's helicopter then. Are the MLA's leading by example and handing in their taxpayer funded cars to catch the bus to work? That will free up some parking spaces in Civic. For the work I do I cannot catch a bus 🤣😂 could only imagine trying to get on one with the stuff I need to carry in my car. And no one expects you to carry all your plumbing gear, or whatever it is, on a bus. Work vehicles are not what it is about. It is about the majority of car drivers who don't need to carry great amounts of gear to work or for work. It was taking my son almost 2 hours and 3 buses to get to school and the same to get home. 4 hours using public transport is ridiculous for Canberra. I am not sure the ACT Government has properly thought through the primary and secondary implications of this policy change. 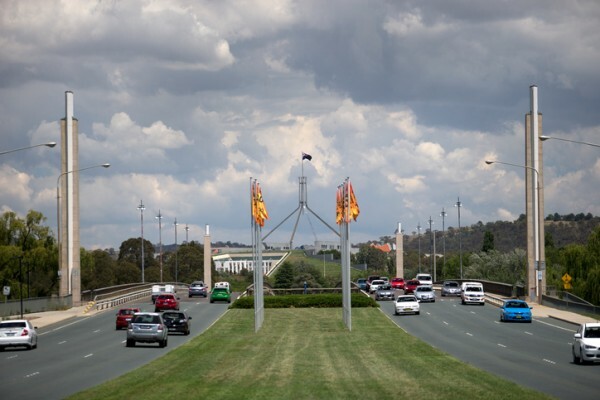 Only around 72,000 Canberrans commute to the major employment and public transport hubs of the Civic area, Woden/Phillip area, Belco, Gunghalin and Tuggeranong/Greenway. That still leaves a helluva lot of workers who are going to other places from right across Canberra, and also those not travelling directly from Home to Work. (people have to drop Children on or off, go to exercise places, visit friends, do their shopping, medical visits etc etc). This proposal might get some extra people off our roads and onto Public Transport. But to a much greater effect, it will financially hurt people in outer suburbs, steal free time from already time poor people, hit mothers and carers in particular and target the most vulnerable and immobile citizens of the city.